Francine Wolfisz is the Features Editor for Jewish News. 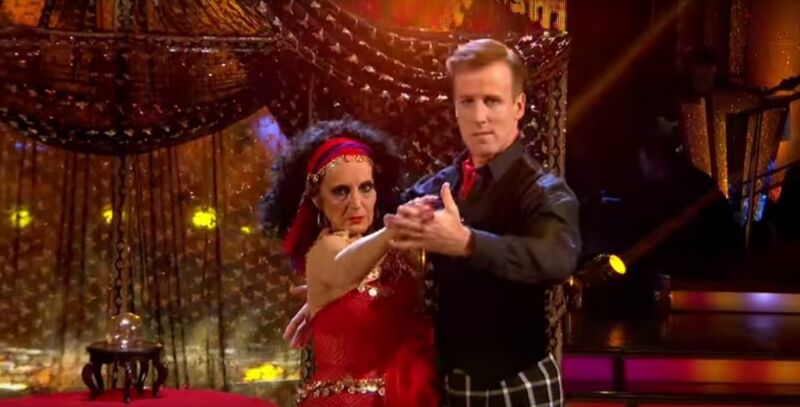 Lesley Joseph has become the fifth celebrity to be voted off Strictly Come Dancing. The Birds Of A Feather actress was eliminated after all four judges voted to save model and fellow Jewish contestant Daisy Lowe in the dance-off on Sunday night. 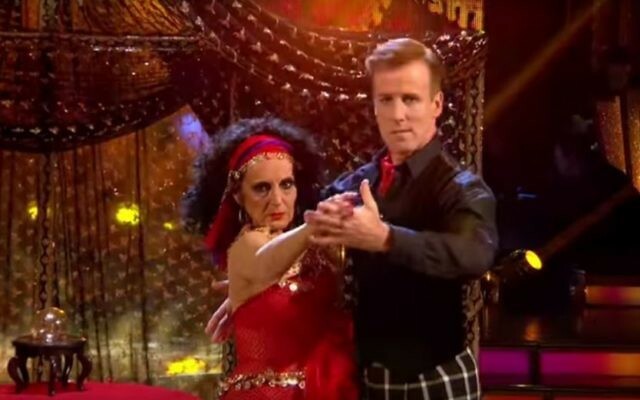 Joseph paid tribute to her professional partner Anton Du Beke after she received the news, saying: “Learning a new dance every week has just been lovely, working with him (Anton) has been an absolute joy and we’ve laughed a lot. When asked by Tess Daly what she would miss most, she said it would be Du Beke. The professional also spoke of his affection for his partner, telling Joseph: “I would just like to say thank you very much, you enriched my whole Strictly experience this year. The duo had scored 24 points from the judges for their Tango to Whatever Lola Wants by Gotan Project, while Lowe and her partner Aljaz Skorjanec were in joint fourth place with 32 points for their Charleston to Happy Feet by Manhattan Rhythm Kings. Ore Oduba topped the judges’ leaderboard during Saturday’s live show for a second week running, after scoring 36 points for his classic waltz. Meanwhile Ed Balls, who stepped onto the dance floor fresh from his first spray tan on Friday, received just 18 points for his dance to (Is This The Way To) Amarillo. The former shadow chancellor came close to dropping his professional partner Katya Jones during a lift as they performed an American Smooth on Saturday’s show. Despite the blunder, he went through to next week’s show. Bookies are rating the remaining Jewish contestants Robert Rinder and Daisy Lowe at 33/1 and 20/1 to win. The remaining 10 couples will take to the dance floor next week for a Fright Night Halloween special when Strictly Come Dancing returns on October 29. Love Island’s Eyal Booker, who was a friend of David’s, is tipped to open the bike ride, but this remains unconfirmed. OPINION: How many homeless did you pass today? Rabbi Oliver Spike Joseph reflects on a new campaign by Tzelem and Shelter – to tackle one of the most fixable problems in the housing sector known as ‘No DSS’. Win a £200 voucher to spend on curtains & blinds from Stitched!